President Ram Nath Kovind has appointed Arvind Saxena as the Chairman of Union Public Service Commission (UPSC), which conducts examination to select bureaucrats, diplomats and police officers. He will have a tenure till August 7, 2020, when he attains the age of 65 years. 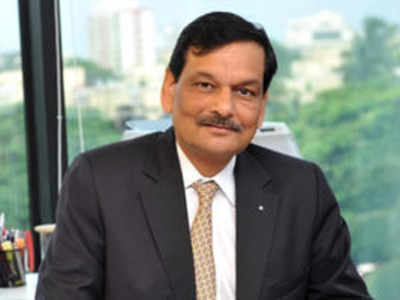 Prior to this appointment, he was working as acting Chairman of UPSC since June 2018. He had joined UPSC as a member in May 2015. Prior to joining the UPSC, he was working as Director of the Aviation Research Centre (ARC). He was a student of civil engineering from Delhi College of Engineering and holds M.Tech in systems management from Indian Institute of Technology (IIT), Delhi. He was selected for civil services and joined Indian Postal Service in 1978. In 1988, he started working at the Cabinet Secretariat, where he specialised in study of strategic developments in neighbouring countries. He has served in different countries and in states of Jammu and Kashmir, Punjab and Himachal Pradesh. He is the recipient of awards for meritorious services (2005) and distinguished services (2012). UPSC is a constitutional body which conducts the prestigious civil services examination to select IAS, IFS and IPS officers among others. It has been established under Article 315 of the Constitution and consists of the Chairman and ten Members appointed and removed by President. The Chairman and members of the Commission hold office for a term of six years or until they attain the age of 65 years, whichever is earlier. It conducts the prestigious civil services examination to select officers of Indian Administrative Service (IAS), Indian Foreign Service (IFS) and Indian Police Service (IPS) among others. Q. President Ram Nath Kovind has appointed whom as the Chairman of Union Public Service Commission (UPSC), which conducts examination to select bureaucrats, diplomats and police officers?